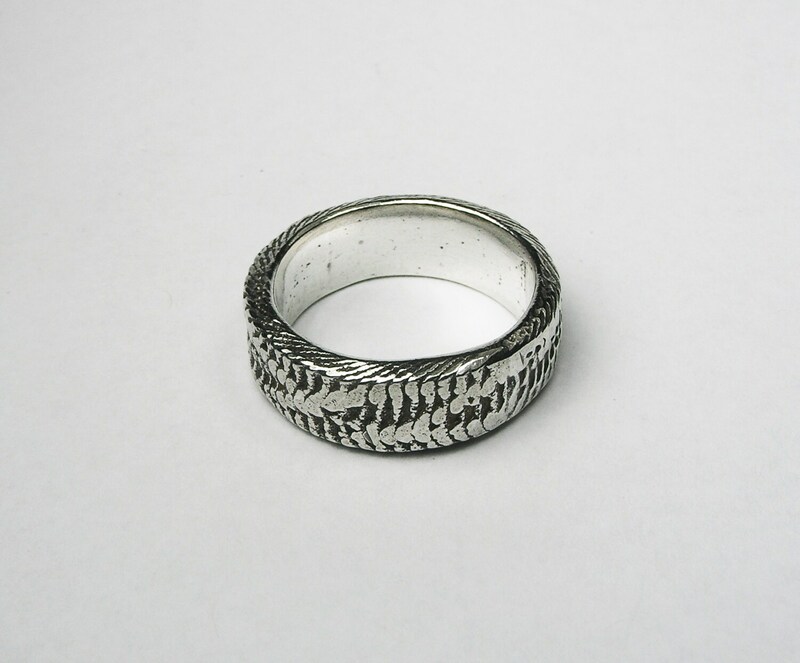 The original of this ring was made using the ancient technique of cuttlefish casting. I then hammered the silver cast to flatten and highlight the texture. I think it looks like snakeskin. I liked the result so much I decide to have it molded and have made a limited edition of 5. 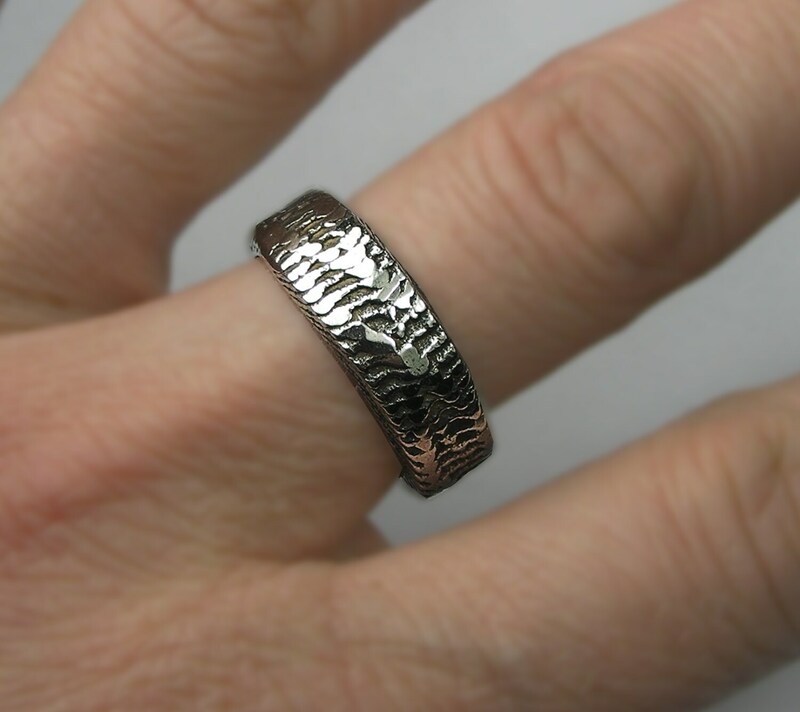 The band is 7mm wide, 2.5mm thick and it weighs approximately 9 g. This edition is Us size 7.75, but can be sized up to 9. 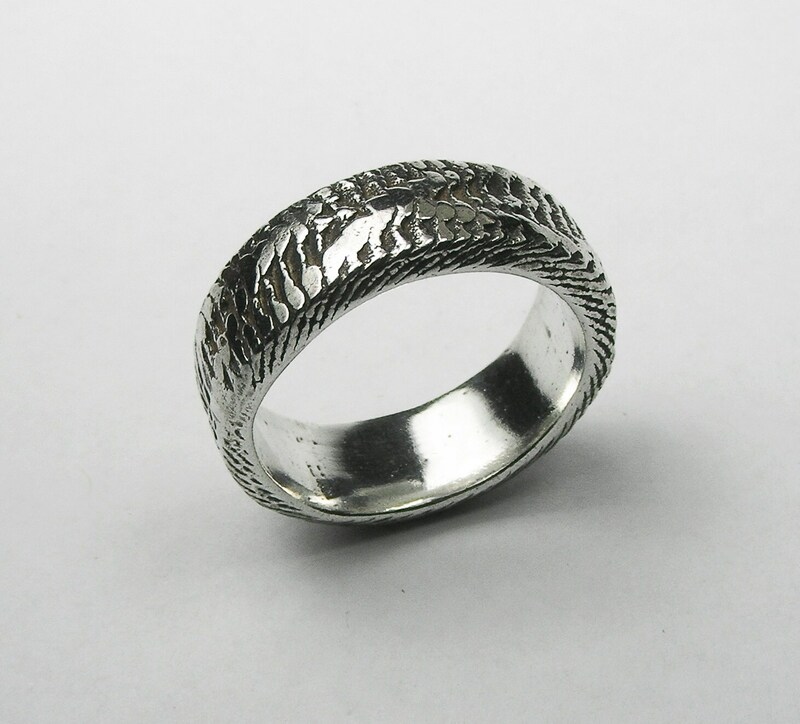 Please contact me if you need a different size or would like this ring cast in white or yellow gold.